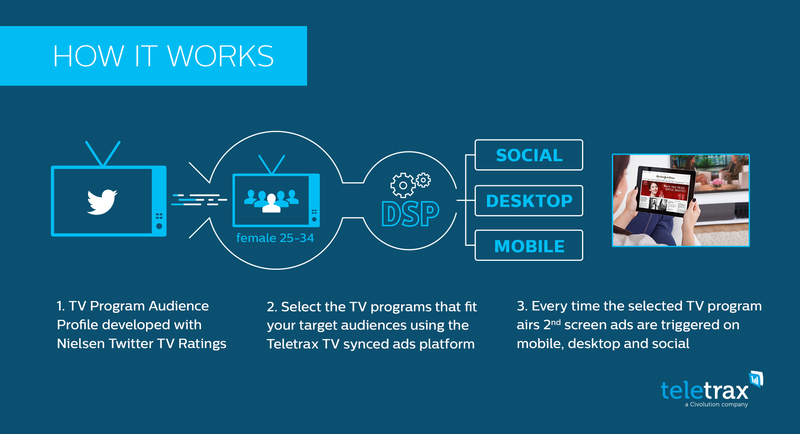 New York, May 11, 2015 – Teletrax Inc, a Civolution company and the leading provider of real time TV analytics and TV synchronized ads, today announced that it has launched its new TV Audience Sync product, with capabilities to reach specific audience segments powered by Nielsen Twitter TV Ratings. 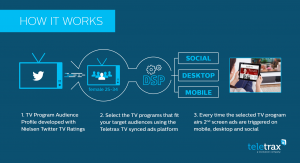 Teletrax’s TV Audience Sync is a unique cross-screen marketing solution that enables advertisers to reach TV audiences with TV-synced advertisements delivered to second screens across mobile, desktop and social. Nielsen Twitter TV Ratings provide granular insight into the age and gender of audiences engaging with TV through Twitter for every program aired on over 250 US television networks. TV Audience Sync couples the richness of Nielsen Twitter TV Ratings with real-time execution on the Teletrax TV-synced ads platform. According to Accenture’s “Digital Video and the Connected Consumer” report, 87% of consumers use a second screen during programming. Utilizing Teletrax’s TV Audience Sync leveraging Nielsen Twitter TV ratings, brands and broadcasters can analyze communications on Twitter, allowing them to better understand which viewers switch between screens to engage with other viewers on social media. This trend is particularly common among Millennials, and is accelerating to all viewer types, making solutions such as Teletrax’s TV Audience Sync a prerequisite for brands advertising on TV and broadcasters looking to reduce churn and increase viewer loyalty to a program. TV Audience Sync is an extension to Teletrax’s TV-synced Ads product, which enables real-time cross-screen TV-synced advertising. This Teletrax solution is used by advertisers and agencies across the Americas, Europe and APAC to amplify ad messages, improve brand exposure, and ultimately increase ROI on advertising spend. Teletrax already works with the leading DSPs, trading desks and social platforms. TV Audience Sync is a unique cross-screen marketing solution that enables advertisers to reach TV audiences with TV-synced advertisement delivered to second screens across mobile, desktop and social. Teletrax TV Synced Ads platform enables advertisers to deliver coordinated ads on viewers’ mobile devices simultaneously with commercials and/or TV programs running on their televisions. The service helps advertisers to improve the efficiency of their digital buy. 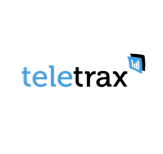 Teletrax already works with the leading Agency Trading Desks, Social Platforms and DSPs.